a) The Marking Scheme carries only suggested value points for the answers. These are only Guidelines and do not constitute the complete answer. The students can have their own expression and if the expression is correct the marks be awarded accordingly. b) The candidates would be permitted to obtain photocopy of the Answer Book on request on payment of the prescribed fee. 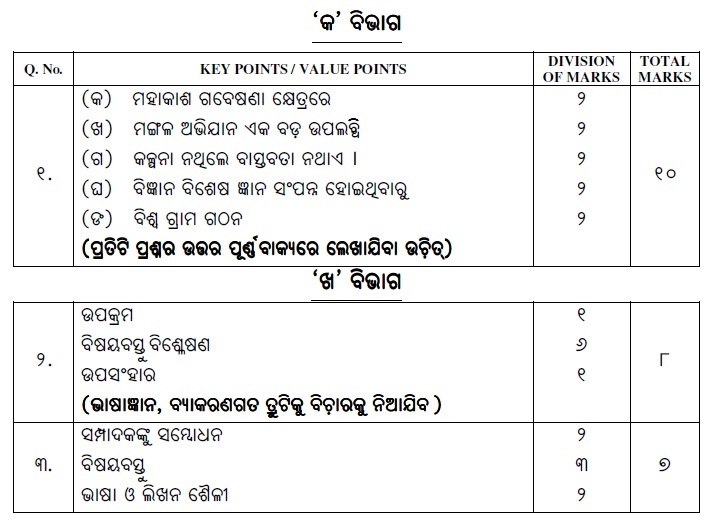 All Examiners/Head Examiners are once again reminded that they must ensure that evaluation is carried out strictly as per value points for each answer as given in the Marking Scheme.